This was a great find at an antique store. It just needed to be taller. So I used the old drawers, and made a new box tower for all 22 of them. A special distressed painting technique, and voila! 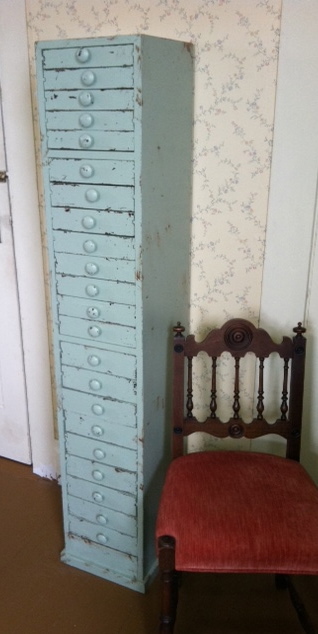 A nice jewelry cabinet. Damage can be done to homes when the drainage from the gutters isn't diverted away from the foundation. 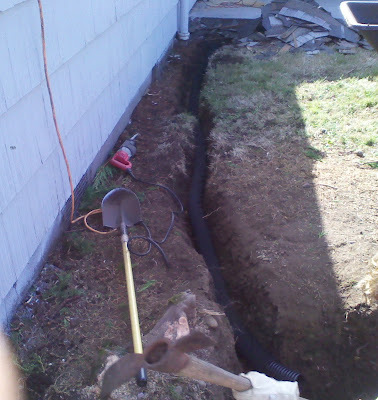 This picture shows the ditch and drain pipe Consider It Done Construction used to connect the downspouts, sending water away from the foundation. It's a lot of work, but an important preventative measure. 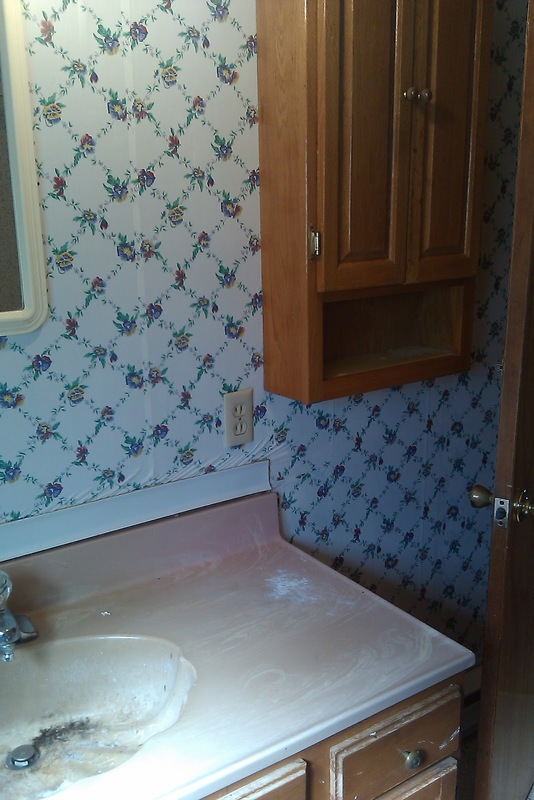 A typical older bathroom in need of upgrades. Same view, much more desirable bathroom. Consider it Done Construction replaced the cabinet, mirror and flooring. 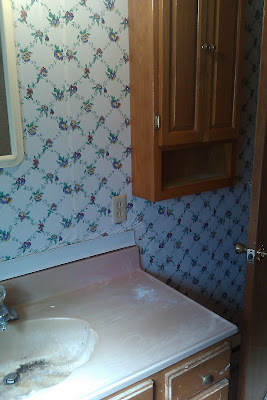 We removed the wallpaper, repaired the walls, and painted. When the customer indicated a space heater was needed, Consider It Done Construction was able to coordinate installation with a licensed electrician.